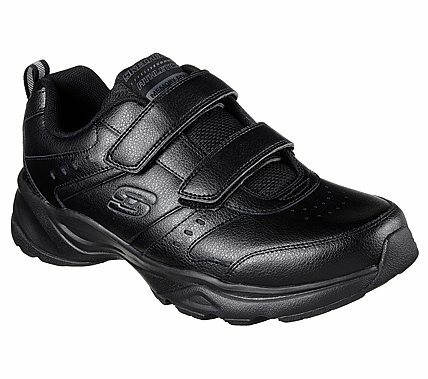 Instant sporty training style and comfort comes in the SKECHERS Haniger - Casspi shoe. Smooth leather and synthetic upper in a two strap front athletic sporty training sneaker with stitching, overlay and perforation detail. Memory Foam insole, shock absorbing midsole, durable rubber outsole.